Mark Dredge - Beer: FABPOW Wanted! 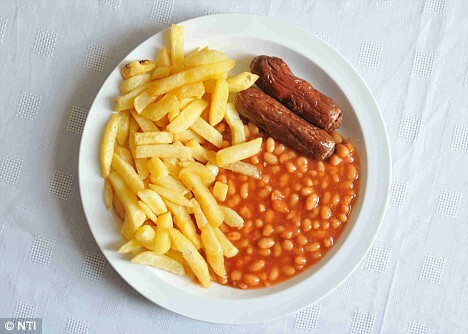 What beer to go with sausage, chips and beans? Basically - Rauchbier is on the list to try! I hadn't thought of that. Steve - Yep, that's definitely worth a go. Any particular suggestions? Sara - Honey Dew with sausages, yes, but I'm not so sure about the beans... I can imagine it'll make the beer taste lifeless and flabby. It's the beans which make it a hard one! The one I struggle with is pasta with a tomato-based sauce. Perhaps it's the same problem - tomato-y sauces. Although I often describe very fragrant hop-laden beers as having "tomato vine" aroma, they don't work with tomato sauces. Jeff - I like a full-bodied dark beer with tomato sauces but nothing too bitter. It's a tough one to pair. The inherent sweet, salty, umami and sour of tomato is hard work. Something on the dark side with balanced bitterness and maltiness (for those pesky beans). It might sound a tad boring but I would plumb for a Hobgoblin or even a Bombardier. I would also happily reach for a Bath Ales Barnstormer for this. Possibly a Rochefort 6 or 8? Mark, I'm thinking St Bernadus 8, it's got that malty Brune sweetness without the intensity of the 12. A pretty underrated beer which I'm hoping fits the bill. Batemans Victory Ale: sub dark malty beer, slightly sweet, 6%. Failing that: St. Austell Admiral's Ale. Sorted! I'm not joking either. Your proper English dinner has a very similar flavor profile to American barbecue—sweet, savory, salty and smokey. Classic American light lagers (I'm not speaking of the majors) are purpose built to drink with food like that. For your health, swap those English sausages for Weisswurst and pair with a Weissbier. Terry - Bath might be a good shout. The other two might be too thin in body? Zak, Brett and Beersay - Like the idea of a those choices! Maybe a Chimay Red as well. Ghost - Like it, especially the Batemans. Don't think I've tried it with that yet either. Beeron - Weisswurst freaks me out. Sausages shouldn't be white! Kelly - Can of Carling it is! Not a big fan of beans like that, but how about a dunkler or especially a creamy dobbelbock? As for tomato, my go-to beer to pair with tomato sauce dishes (and especially pizza) is Stallhagen Dunkles, a Finnish dunkel with a crisp liquorice and salty liquorice in the taste along with the roastedness. Though in those cases, I usually go for some Australian shiraz instead. How about Fuller's 1845? Would complement the sausages quite well and as it's bottle conditioned, the little extra 'life' might help cut through the mouth-filling beans. Give Bath Ales Barnstormer a go, lot of rich fruity flavours and malty as hell, but light enough not to overpower the flavour of the food, I think it could work with the sausage and beans really well. the first thing you need to do is sort your sausages and chips out. They look like awful processed garbage. No point in pairing anything with shite. MacMoney - Where can you get that Finnish Dunkles from?! Tony - Good shout with the 1845! Matthew - I'll give the Bath a go. It's a good beer and easy to get hold of. My apologies. I had assumed that the illustration was illustrative. Try Delirium Tremens - the Belgian brand with the pink elephants and ceramic-looking bottles. Some friends and I sampled it a while back and we concurred that it contained a bizarre flavour note that we eventually identified as baked beans! It's about 8.5% so you'll need sausages that can stand up to that. Worth a punt though! Actually thinking about it I had Panther black panther with beans and sausage rolls the other day and it was good. It had some smokiness and sweetness. I love baked beans, I usually have them on toast with Tabasco and melted cheese. Chris - I've never tasted beans in Delerium Tremens!! I did think about the possibility of a tripel or strong Belgian ale to see what that would give... Again, it's worth a shot!! Steve - Everyone round to mine!!! I'll make the chips and provide the sausages. Everyone brings one bottle of beer and a tin of beans. I've got ketchup. Someone bring a loaf of good bread! This post is making me hungry. I love sausage, egg, chips and beans. We call it 'council estate tea' at my house! Ya know, I see the Belgians and the the big malty's as being to overbearing. I want something that acts to not just compliment, but connect the flavors of the food. You're going to have big tomato-y, brown smokey, sugariness with the beans; and earthy, saltiness with the fires and sausage. Piling on more sweet, full-bodiness seems overkill. I want something that acts—as Reggie Jackson referred to himself— "the straw that stirs the drink." A catalyst, bridging, one flavor profile to another. smokey, brown sugariness, is how that line should have gone... and fries not fires... oof! I've got to stop drinking so early in the morning! Last time I had Sausage, Chips and Beans I think I had Jennings Sneck Lifter or Theakstons Old Peculiar. If the beans are troublesome (for teh pairing not the after effects)could always replace with egg, or is that cheating? the beans are the best bit! Neil - That's a bit unkind on such a wonderful feast! Craig - I know the feeling!! And a bridge is the important thing - it's just finding that bridge! Pub Diaries - You can definitely add egg but the beans have to stay! Hmmm the bean problem is easily solved by altering the beans a little. I like the taste of baked beans just fine but I much prefer to add some hot sauce in them. My sauce of preference for beans is Encona West Indian. Now what beer style do you reckon does justice to spicy food...... For me, as the Highlander says, there can be only one and that's an in your face American style IPA but no doubt a good lager would work too. Rodenbach Grand Cru. Attack. Attack. Attackattackattack. I stick to a good solid Tennants with my fry-ups.